Why Choose URB-E Over Other Brands? 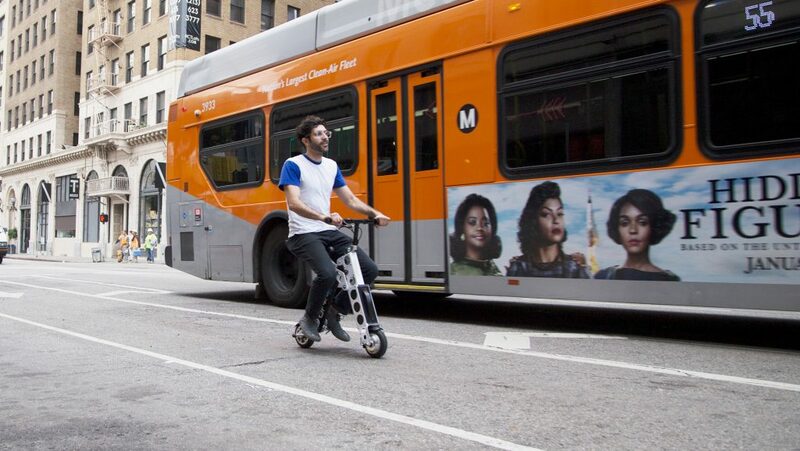 Right after hitting the market, a foldable electric scooter has literally changed theway we used to commute. This product is exactly what was needed to meet the requirements of today’s age. People were getting fed up with the worsening traffic situation that was the biggest hurdle in their way to getting to their work on time. There is absolutely no doubt in the amount of value foldable electric scooter has offered mankind. However, with the popularity of a trend, new businesses enter the market and make it extremely tough for customers to find the best product that could be the right value for the money. URB-E is one of the most popular brands offering electric scooter for commuting. Here we will discuss some reasons why you should always go for a URB-E foldable electric scooter. Let’s get started. The basic purpose of buying a foldable electric scooter is its portability factor. You can easily take them with you while going to shopping or office. Other products like Boosted Board, Stigo, and others have heavy-duty designs that make them difficult to carry. Even the URB-E PRO GT, one of the finest models of URB-E is very lightweight and you can accompany it to you. URB-E is known for offering the best foldable electric scooters for commuting in very basic designs. The design of these scooters is just like other bikes so the users don’t have to get used to it. You can just jump over it and unleash the rider in you. Although the design is simple, it adds an element of style to your personality. Other alternative products can be difficult to balance and might not be a perfect fit for you. Shopping or leaving for college? No problem at all! One of the reasons why you should choose URB-E folding electric scooters is that they can be used for any purpose. You can use them anywhere you want. Even if you are heading for shopping, you can use it as a shopping cart. For that purpose, you can get the URB-E Cargo Basket that easily attaches to the scooter. It can hold weight up to 9 kg. No matter what product you choose, you will get very less mileage that will not serve the purpose at all. However, URB-E is all about value – value that comes in every way possible. Each model of URB-E folding electric scooter offers more mileage. On a full charge, these scooters can cover 16 miles to 20 miles. These reasons are enough to determine that URB-E has a clear edge over other competitors. So what are you waiting for? Get these amazing electric scooters and start your journey to hassle-free commuting wherever and whenever you want. Top Secret: you can make your ride more comfortable with URB-E accessories exclusively designed for the URB-E scooters.